Sometimes you just have to do things yourself, and that’s not such a bad thing. Faced with a social media project for our Public Relations Writing course, a few Print Futures: Professional Writing classmates and I chose to promote a grassroots writers' group in Richmond. The problem we faced was that the writers' groups listed on the city’s community Arts, Culture and Heritage webpage were inactive. It’s hard to promote a group that doesn’t exist. So we created our own and formed Richmond Writes Out Loud! an open mic for creative writers. We created a plan to promote the new group using social media and traditional media, setting up a website, as well as a Twitter account and a Facebook page. We distributed a press release to announce the launch of the new group, and a media alert to remind the press a few days prior to the first event. Our public relations campaign was a success, and we generated coverage in the Richmond Review and the Richmond News. 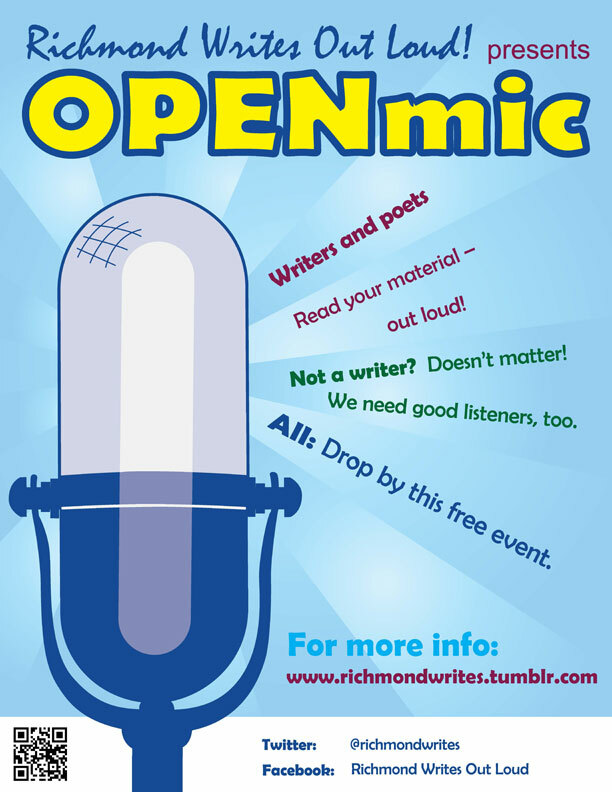 We had a nice turnout for the launch of our inaugural open mic event at the Richmond Public Library in March. The open mic featured a diverse group of speakers, representing all generations, a variety of cultural backgrounds and an assortment of literary genres. our youngest speaker was only 15 years old! We also heard short stories, as well as excerpts from longer works of fiction and non-fiction. 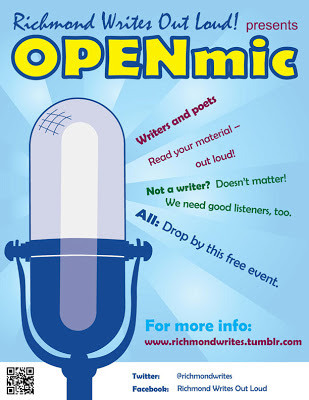 Our second open mic in April attracted even more creative writers who live in Richmond, and community enthusiasm for continuing the group is strong. Richmond Writes Out Loud! is for novice, emerging and experienced creative writers, with an emphasis on sharing creative works via the spoken word. The group was founded by part-time Print Futures students Eric Wilkins (president), Jill Neumann (event coordinator), Jerrie Lynn Morrison (membership coordinator), and by recent Print Futures: Professional Writing graduate Avalon Doyle (media relations coordinator), who completed the Douglas College program as a full-time student.